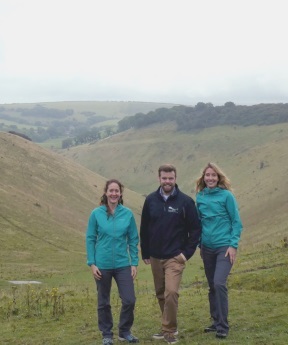 Last week I had the pleasure of meeting Claire and Pam, two inspiring teachers and Park Discoverers who are spending September visiting all the UK National Parks, running a marathon in each inspiring park landscape and using their experience to create a set of learning resources that will encourage teachers to take physics lessons outdoors. What a fantastic idea! When they asked if they could meet with me, I jumped at the chance. We had a really productive meeting at Devil’s Dyke, they filled my brain with lots of fantastic ideas, showed me their HOBO (read their blog for more information about that!) and I told them about some of the upcoming projects in the South Downs that could inspire young physicists and teachers alike. Dark Night Skies were high up on the list (pun intended), kite flying and paragliding are a popular recreational activity in the park that could offer some fantastic teaching ideas, plus many more. Find out more about why they are taking on this challenge and follow their progress on Twitter. Once they have recovered from their month of marathons, I’m hoping to work further with them on the resources. Watch this space for updates in the New Year.